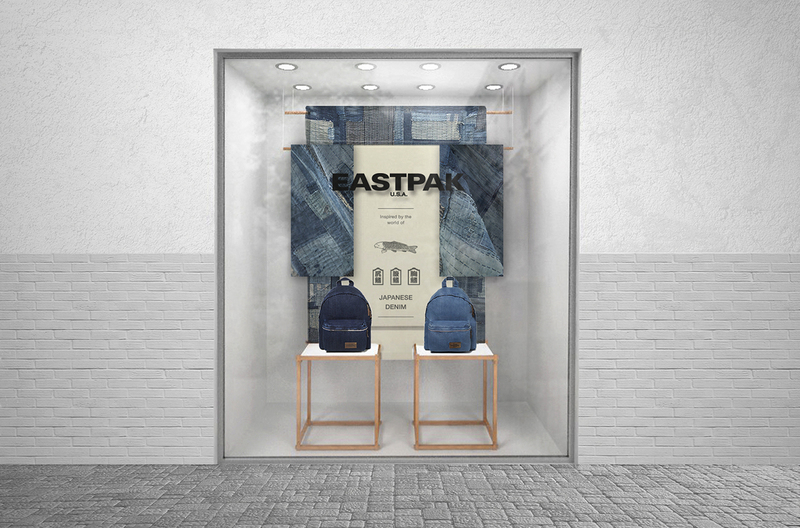 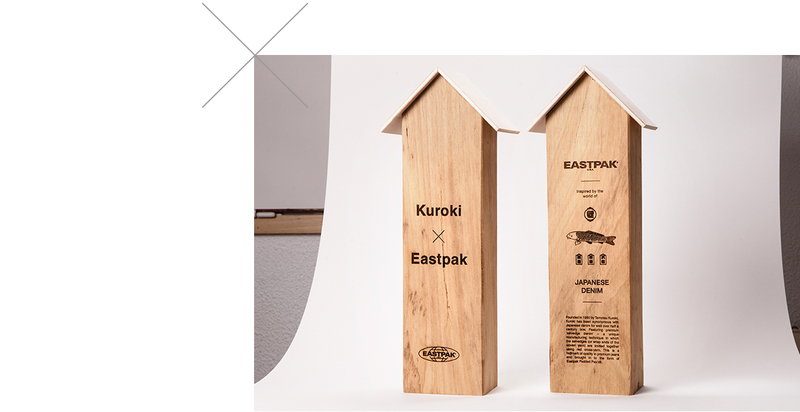 For “Inspired by the world of”, a series of unique collaborations, Eastpak teamed up with the legendary designer Kuroki to honor the Japanese tradition of “selvedge” denim. 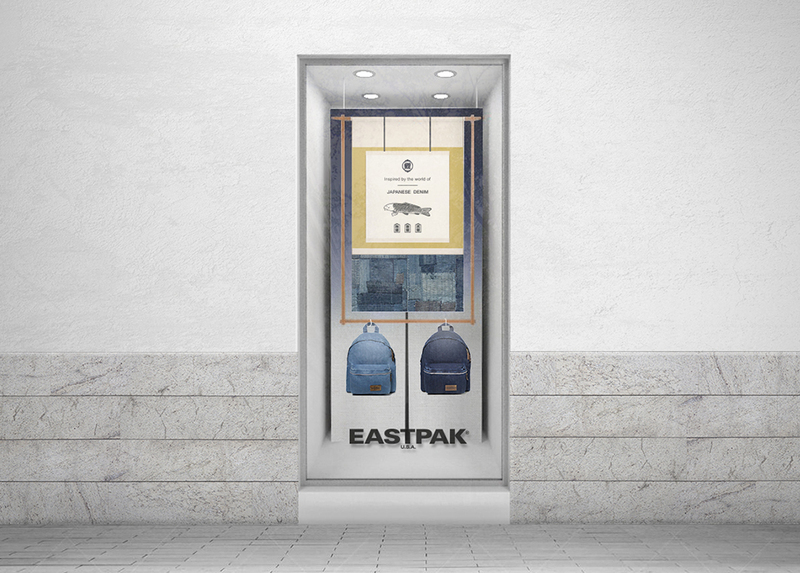 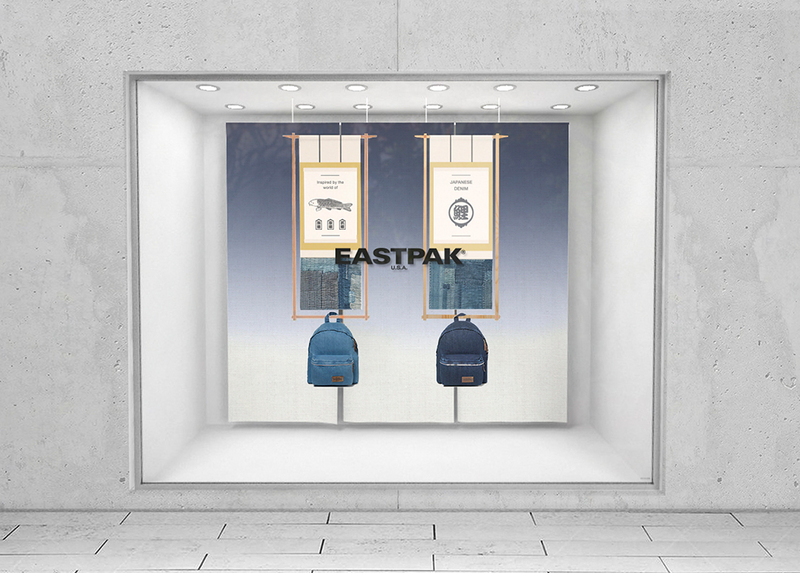 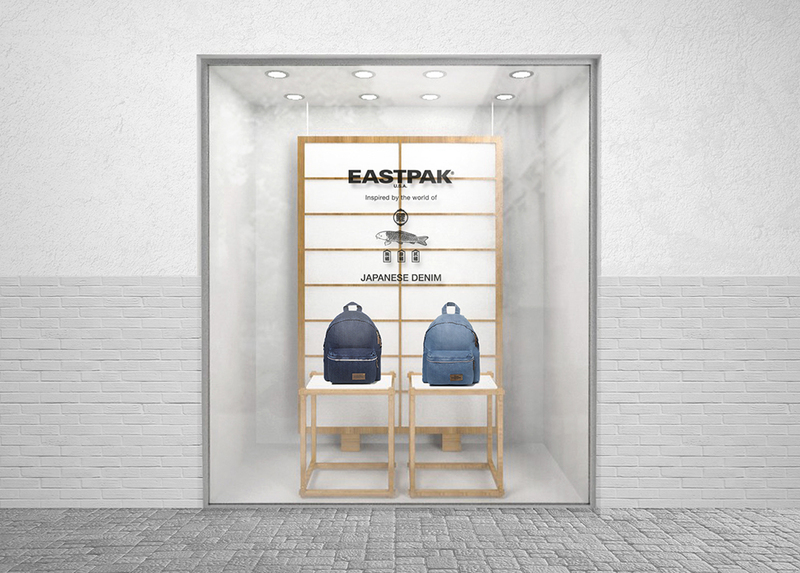 Introducing this special edition the backpack brand asked us to design window displays, POS furniture and premium packaging. 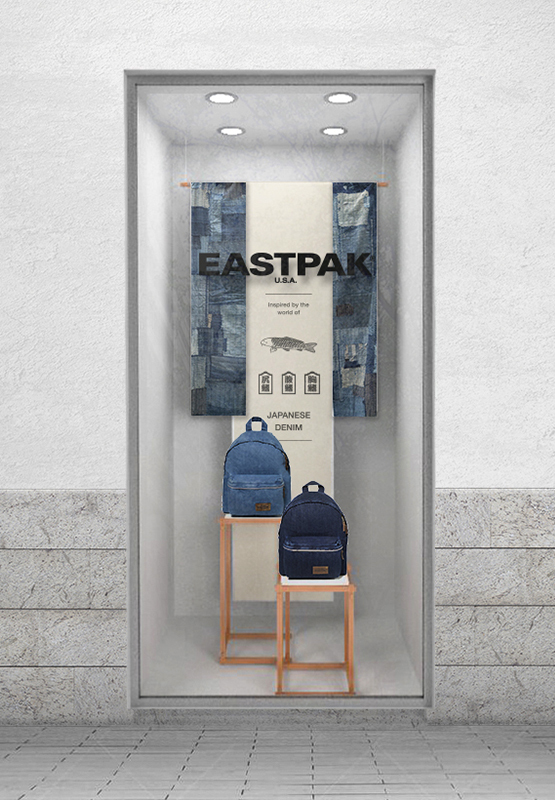 Inspired by Japan’s long-standing love affair with denim and produced by the legendary Kuroki company in Okayama, Japan, the bags in this collection are produced from genuine, high-grade “selvedge” denim. 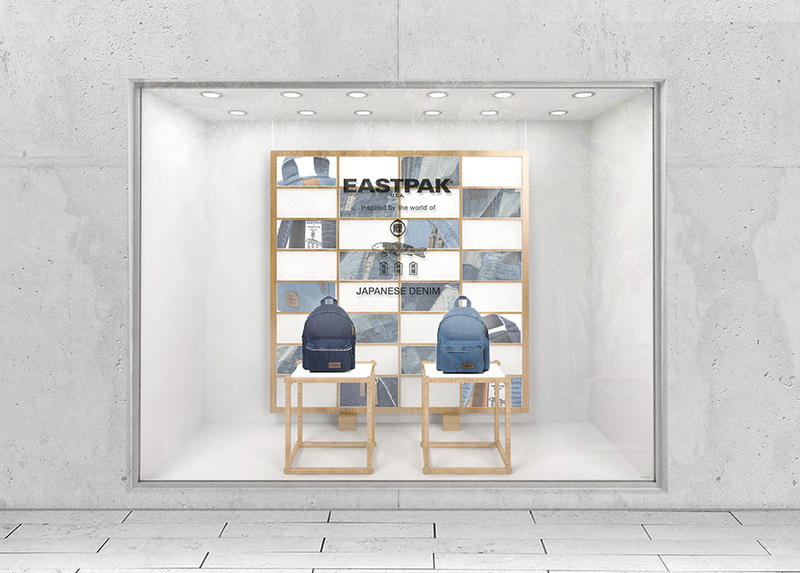 Referencing the iconic pattern of the Kimono, Japan’s most traditional garment, we play with T-shapes and straight lines for the window dressing. 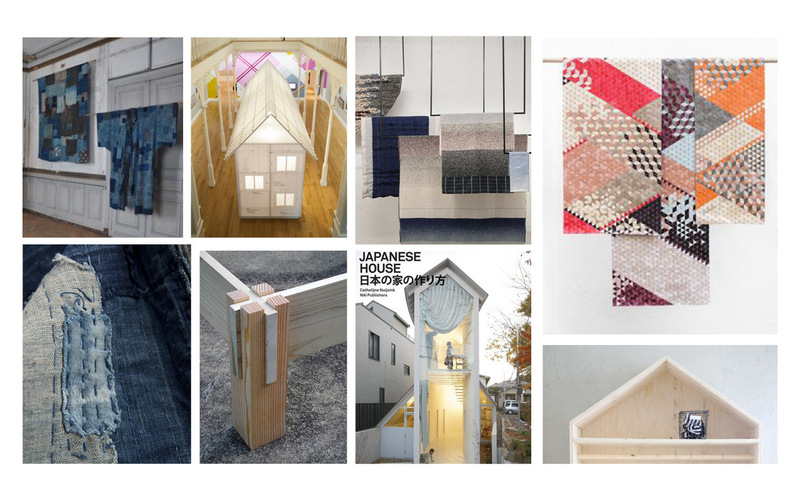 An interplay between geometric elements and overlapping layers of fabric evokes the impression of a hanging kimono. 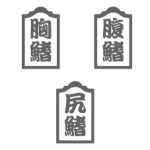 KEYWORDS > everlasting wisdom, observance, quality, tradition. 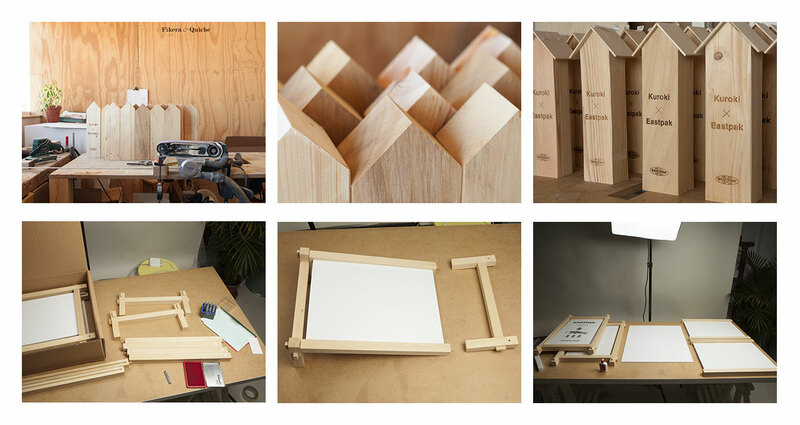 The structure of traditional Japanese farmhouses, also called “Minka” which literally means house of people, forms the foundation for the design of the POS furniture. 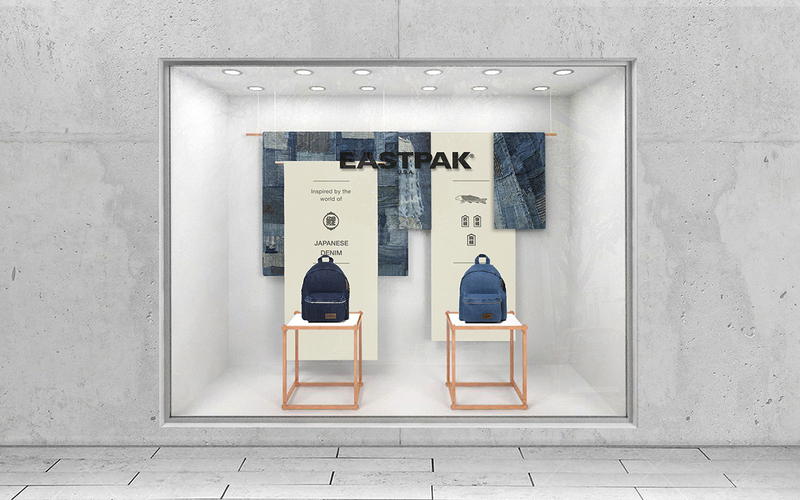 By pairing their iconic architectural shapes with the Japanese design principles of purity and simplicity, we created figurative Minkas where the backpacks become a metaphor for the life and warmth of home. 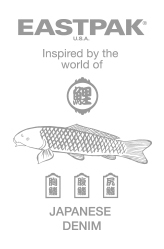 KEYWORDS > Purity, clean / neatness, light, essential, homely, naïve, simplicity. 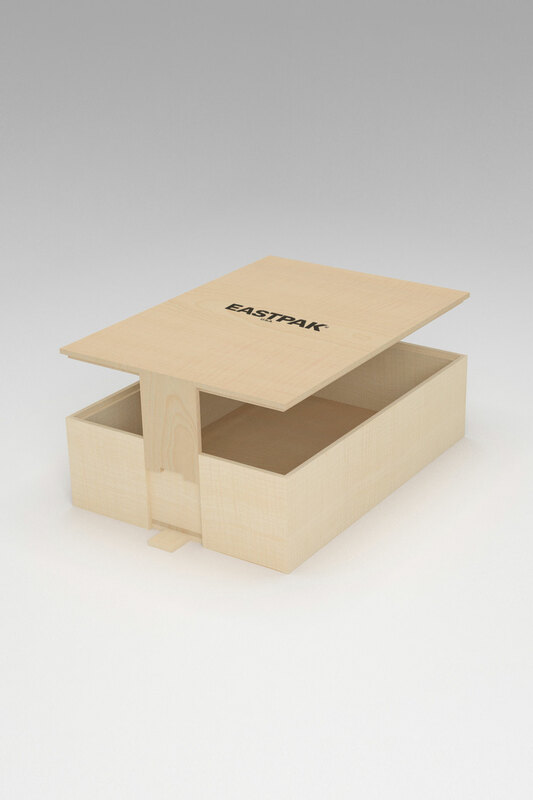 The product packaging unifies minimalism and cleanliness with subtle, relaxed luxury while adding a refreshing crispness. 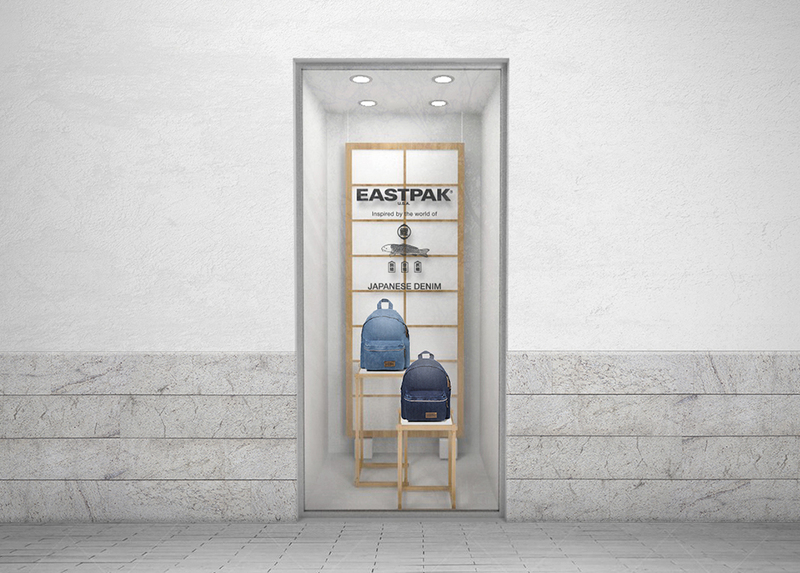 Inspired by contemporary Japanese design and the backpack itself, the packaging design uses very few flourishes, plain colors and clean lines. 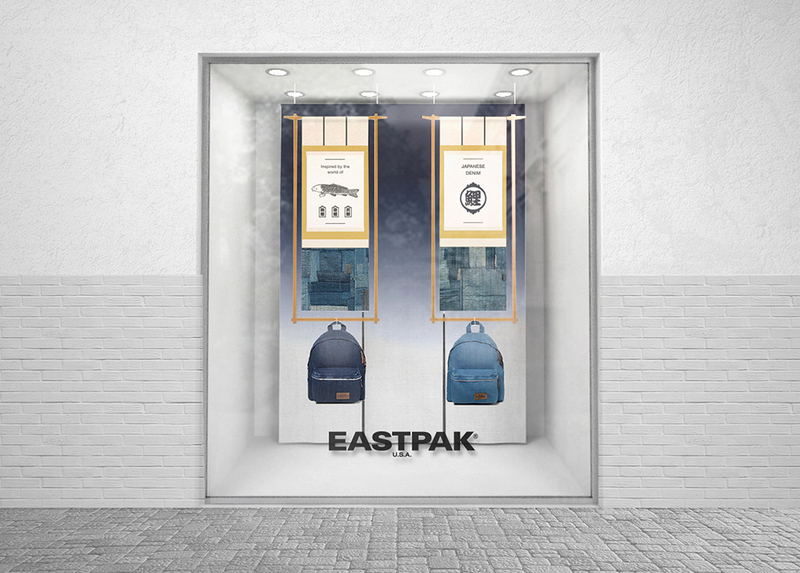 The aim of the product packaging is to underline the value of the bag without diminishing its role. 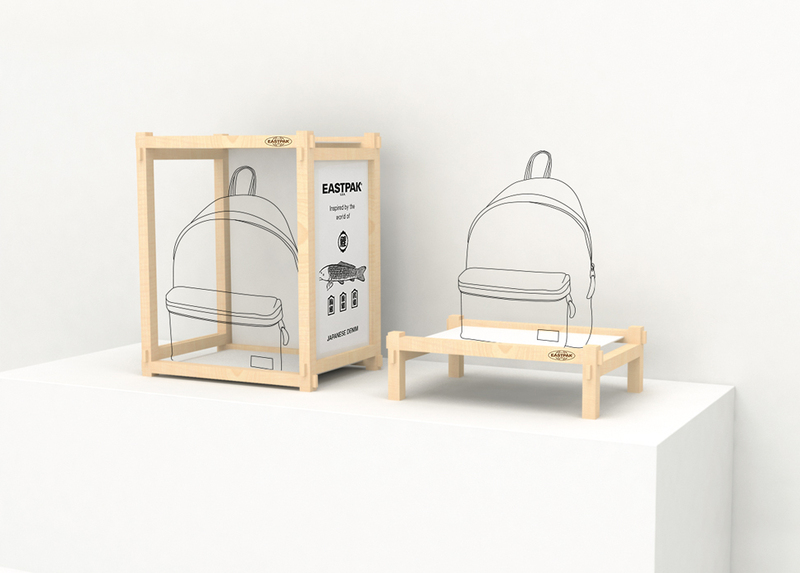 The backpack is the hero whereas the packaging serves as an armor to protect and honor it. 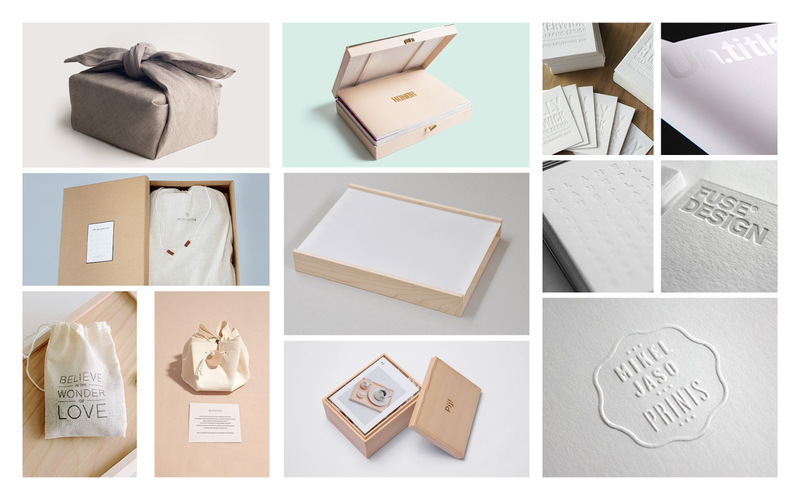 KEYWORDS > Secret opening, private ritual, hiding place, elegant appearance, wood and white. 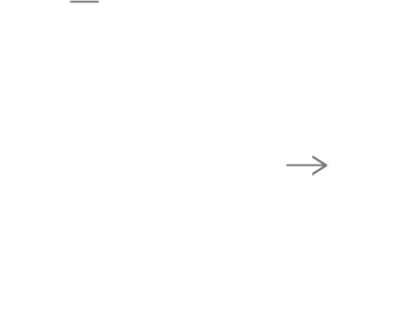 Sliding secret. 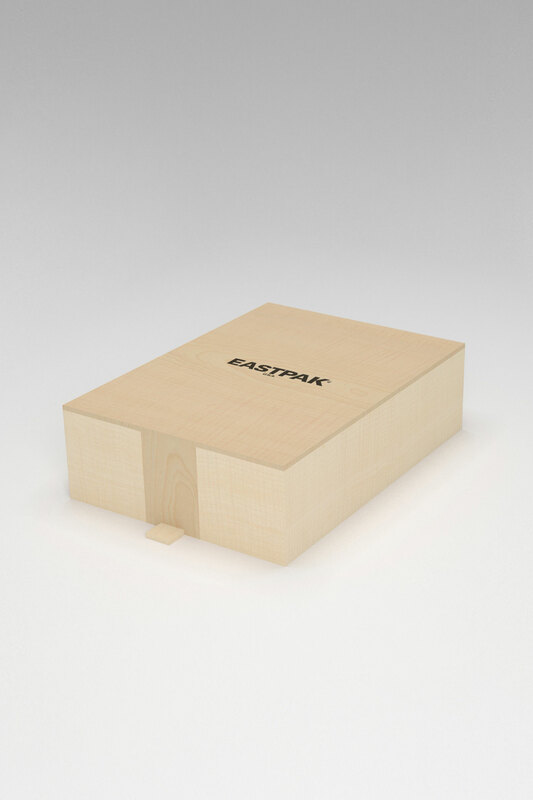 The lid of this box slides through a hidden notch in the bottom key. 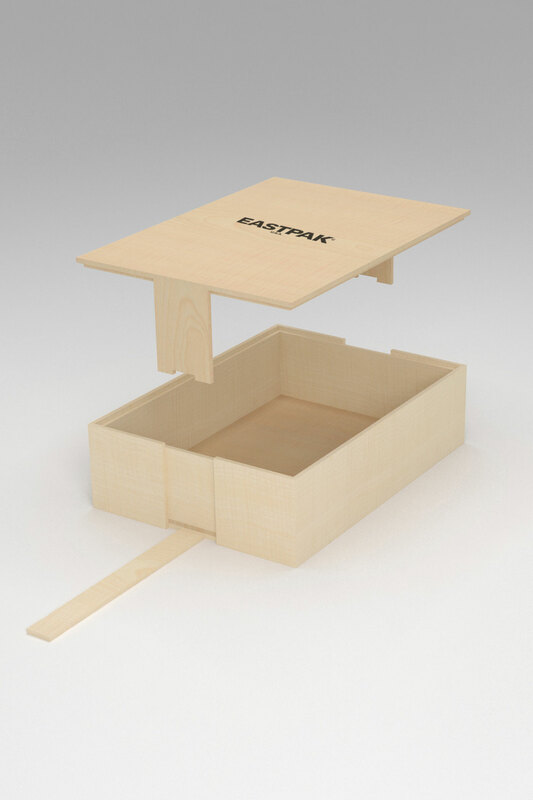 To open the lid you have to push the sliding bottom key to release the end keys.